Security posts are used to restrict access by vehicles. Posts are available as fixed, removable and pull up. Can be constructed from both mild or stainless steel with either galvanised, or powder coated finish. 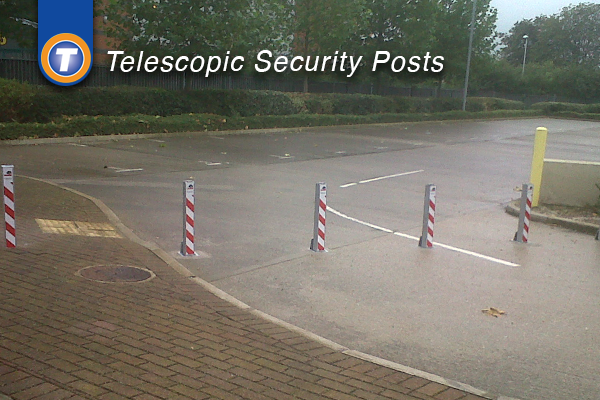 Telescopic security posts are available in various heights and sizes and can be installed to match the fixed posts. Telescopic security posts offer a high level of security whilst being easy of use. The post requires installation by excavating a pit in the ground into which the post is installed and encased in concrete. The top of the unit is finished flush with the finished surface. The user then opens a flap to reveal the post, unlocks the post, pulls the post up and locks it in the raised position. The post can be locked in the raised or lower position. Various sizes and styles are available to suit the level of security required. Posts are galvanised to prevent corrosion and have option for a powder coated paint finish. 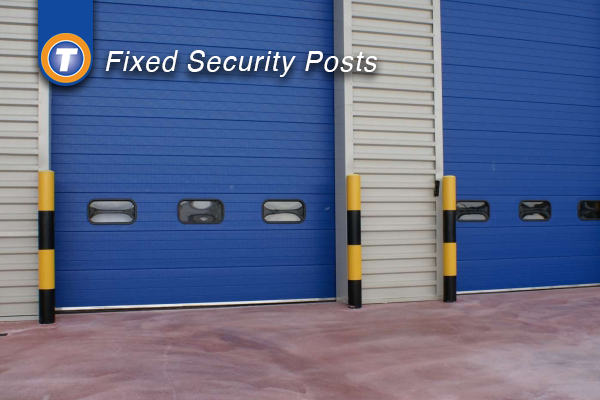 Fixed security posts are available in various heights and sizes and can be installed to match the telescopic posts. Fixed posts offer a high level of security. The post can be installed as either bolt down on to a suitable foundation base or cast in by excavating a pit in the ground and then the post is installed and encased in concrete. Various sizes and styles are available to suit the level of security required. Posts are galvanised to prevent corrosion and have option for a powder coated paint finish.